Planning an adventure? 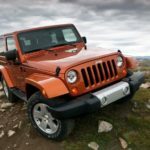 The new Jeep Wrangler Hard Top SUV makes driving up to the mountains with the roof down a piece of cake. A heroic, mini adventurer on rougher terrain, it’s less capable on-road. But it remains an iconic car that’s hard to beat for what it can do in the mud. And it continues to be iconic, despite Jeep bringing it (presumably kicking and screaming!) into the twenty-first century. It still looks classically like a Wrangler, it’s still as uncomfortable as a wrangler (damn), and its interior quality is still questionable! But if your plan is to escape to the mountains, the woodlands and the jungles, it’s well worth a test drive. Even better, it’s a convertible! Perfect for those stuffy days when you need to cool down in exotic places. 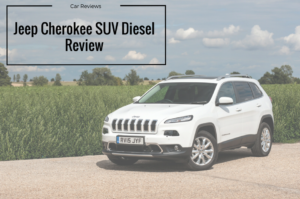 The new Jeep Cherokee SUV Diesel is a good-looking off-roader that’s fun, comfy and full of life. 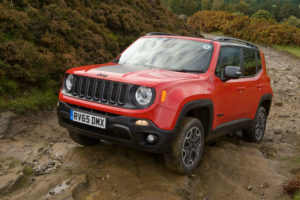 It’s not quite the all-rounder, but it’s got bags of heritage and makes perfect sense for outdoorsy families.Indeed, if you’re looking for a car that your family can rough it in hassle-free, the Cherokee has a lot going for it. Its off-road abilities are impressive, but it’s also not too shabby on the tarmac. It comes with the option of four-wheel-drive and can return up to a 53.3mpg economy. 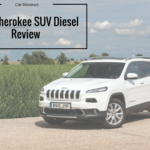 OSV takes a closer look at what it’s all about with our Jeep Cherokee SUV Diesel review. Jeep has been making 4x4’s since world war two, so they know what they’re doing. 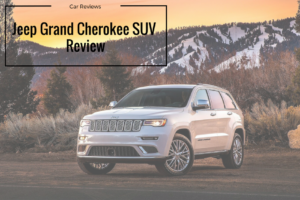 Their new Jeep Grand Cherokee SUV is alive with character. It’s a big and bold 4x4 by a trusted brand that comes with five seats, and a gigantic V8 engine. 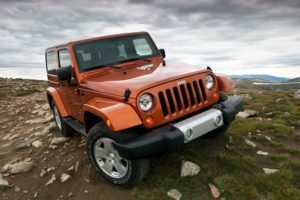 Easily one of the best to drive Jeeps ever, it’s also well equipped, and houses a roomy interior.It comes with advanced tech that ensures it’s King of the off-roaders, too. And because it shares part of its structure with a Mercedes, you just know it’s not going to let you down. 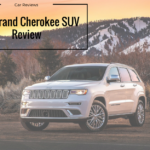 OSV takes a closer look at what it’s all about with our 2017 Jeep Grand Cherokee SUV review. 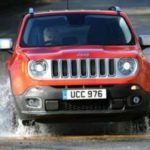 The new Jeep Renegade 4x4 sports unique, chunky looks, and, despite its fairly compact dimensions, is a tough cookie off-road. It copes well with a bit of rough and tumble but is a bit uninspired on the tarmac. It is, however, the car to look at if you want something a bit different for your family but don’t want to spend over the odds. Based on the Fiat 500X, the characterful Renegade stands out in the small crossover sector thanks to its pretty-yet-tough styling. 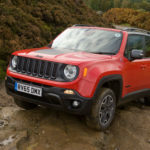 It’s an impressive image that’s backed up by some warrior-like ability on rougher terrain, helped in no small part by a solid range of punchy engines, all of which are impressive. 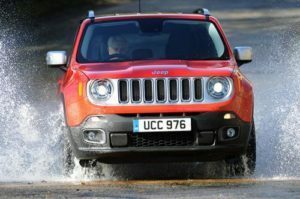 OSV takes a closer look at what it’s all about with our Jeep Renegade 4x4 review.